The TapRooT® Software applies the world-class TapRooT® Root Cause Analysis methodology to a software solution. 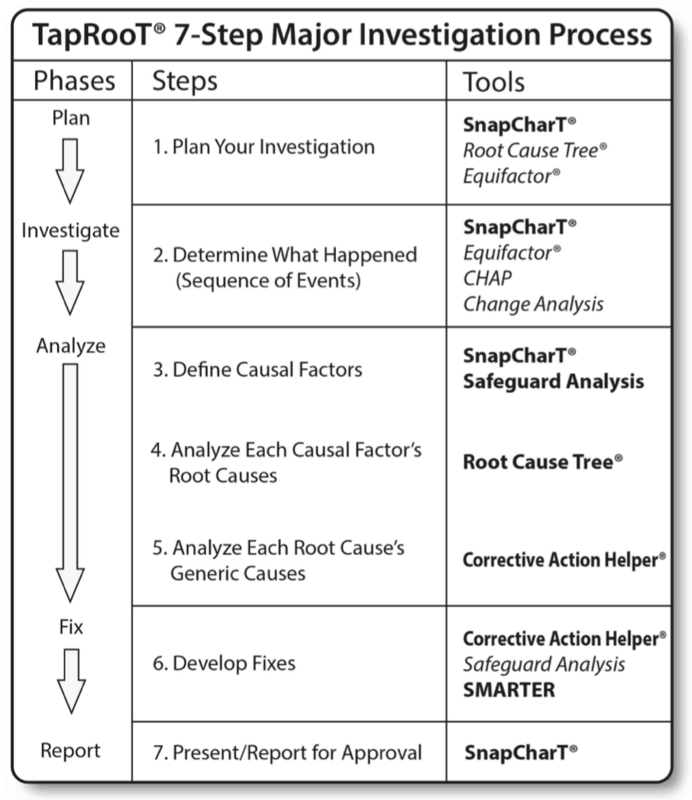 Map a sequence of events (SnapCharT®), identify problems (Causal Factors), analyze for Root Causes (the patented Root Cause Tree®), and develop effective corrective actions (Corrective Action Helper®) on a Desktop, laptop or tablet. Customize presentations, reports and dashboards to identify performance trends. Integrate with other EH&S, Quality or proprietary business software using the API. 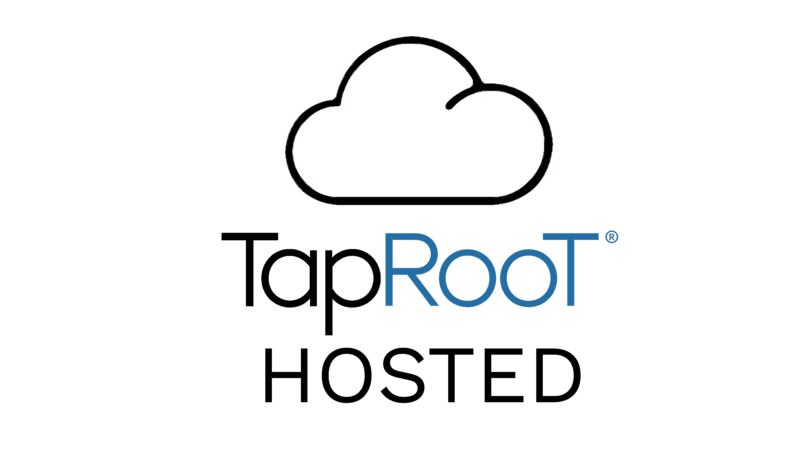 Our TapRooT® Hosted software removes the responsibility of your IT department to install and maintain the TapRooT® software. Focus on what matters, we will focus on keeping TapRooT® Hosted up-to-date and available to use anytime. Not quite ready to jump to the cloud? No problem. Install our On Premise solution and users inside your network can connect to your private company’s TapRooT® VI site. 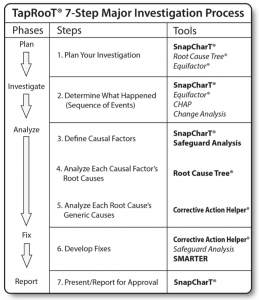 Fully implements the TapRooT® 5-Step Process for simple incidents (precursors) and the 7-Step Process for major investigations. Includes easy-to-use drawing tools to produce presentation quality SnapCharT®s. 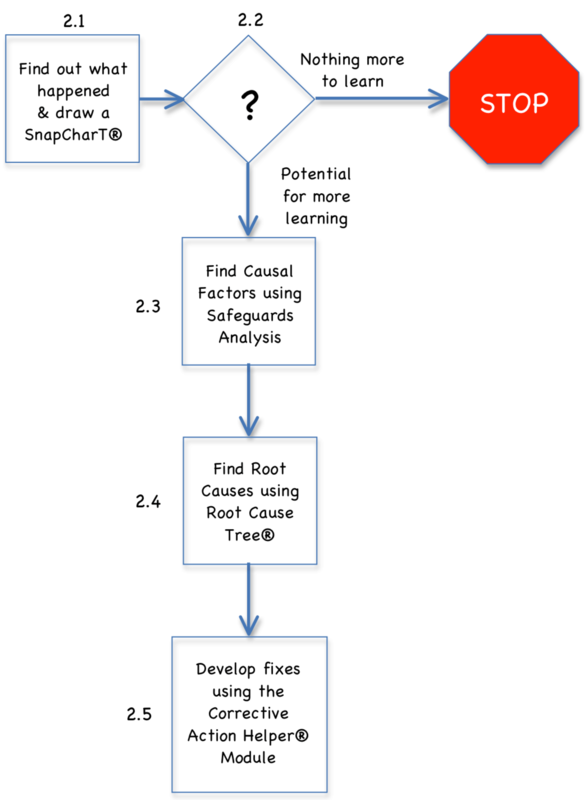 Includes Root Cause Tree®, Safeguard Analysis, Equifactor®, Change Analysis, Critical Human Action Profile, and Corrective Action Helper® Modules along with other optional techniques to supplement your investigations. Access from standard browsers on laptops, desktops, tablets, and even smartphones. Easy connectivity to other systems using our API integrations. Easy to customize fields and reports makes the software fit your industry and company. Trend your incident data and learn from your statistics. 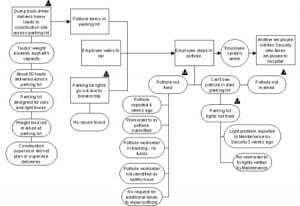 Whether you are investigating a precursor incident using the simple TapRooT® 5-Step Process or a major investigation using the complete TapRooT® 7-Step Process, you will have all the TapRooT® Tools at your fingertips. No other software offers the advantages of the TapRooT® System. You can’t understand why something happened before you understand what happened. The simple drawing tool SnapCharT® helps you organize and understand the evidence you collect and present what you learn to management. 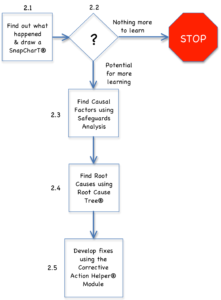 In addition to the SnapCharT® drawing tool, the TapRooT® Software includes the Root Cause Tree®, Safeguard Analysis, Change Analysis, Critical Human Action Profile, Equifactor®, and the Corrective Action Helper® Module. All these techniques are integrated into the software to make a simple or a complex investigation a snap! The TapRooT® VI Software consolidates incidents, audits, investigation, root cause, and corrective action in one convenient database. It also can store other investigation data including images, documents, and procedures so investigators have one central repository of data to create reports. Being stored in the cloud allows easy access and sharing of incident data from a user’s desktop, laptop, tablet, or even a smartphone. You can set up individual users to use our hosted software or you can license our software and host it on your cloud or we can host your company’s site on our cloud – whichever is easiest and most economical for you. Companies use databases to manage safety, quality, human resources, and other company critical functions. We’ve made it easy to share data with other databases using our API. We can work with your company to connect to your private API as well. You will be amazed how easy it is to customize the software to meet your needs. Add custom fields to the database or custom reports for your investigators to make the software fit your industry and company. TapRooT® Software does more that facilitate world-class root cause analysis. 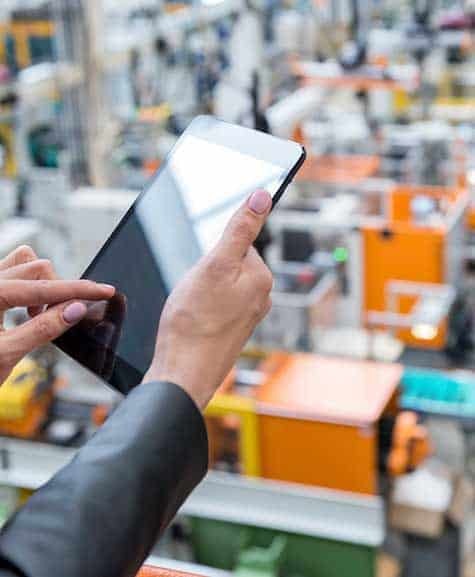 It also provides management with the data and trends they need to manage safety, quality, and business performance. Webinars are held on the third Wednesday of each month. This webinar is designed for experienced TapRooT® users who have been trained to use TapRooT®. All Attendees MUST have prior TapRooT® training to attend this course. Learn the TapRooT® VI Software and discover the tools and tips to maximize your TapRooT® investigation to fix the root causes of incidents, accidents, quality problems, near-misses, operational errors, hospital sentinel events and other types of problems. This is a 90 minute webinar guided by our instructor. TapRooT® has assisted us in understanding the cause(s) of an injury and/or incident. With that understanding we can create high-quality corrective actions based on root causes.